This PhD thesis is motived by a personal interest in the theoretical, practical and creative qualities of architecture. 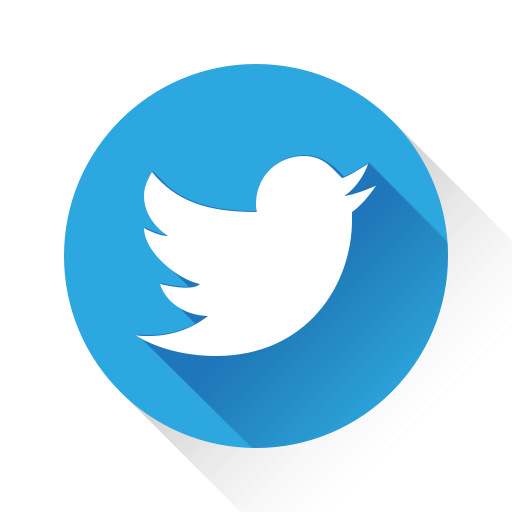 But also a wonder and curiosity about the cultural and social relations architecture represents through its occupation with both the sciences and the arts. 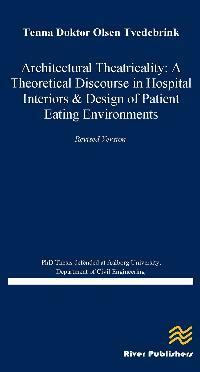 Inspired by present initiatives in Aalborg Hospital to overcome patient undernutrition by refurbishing eating environments, this thesis engages in an investigation of the interior architectural qualities of patient eating environments. The relevance for this holistic perspective, synthesizing health, food and architecture, is the current building of a series of Danish ‘super hospitals’ and an increased focus among architectural practices on research-based knowledge produced with the architectural sub-disciplines Healing Architecture and Evidence-Based Design. The problem is that this research does not focus on patient eating environments and a knowledge gap therefore exists in present hospital designs. 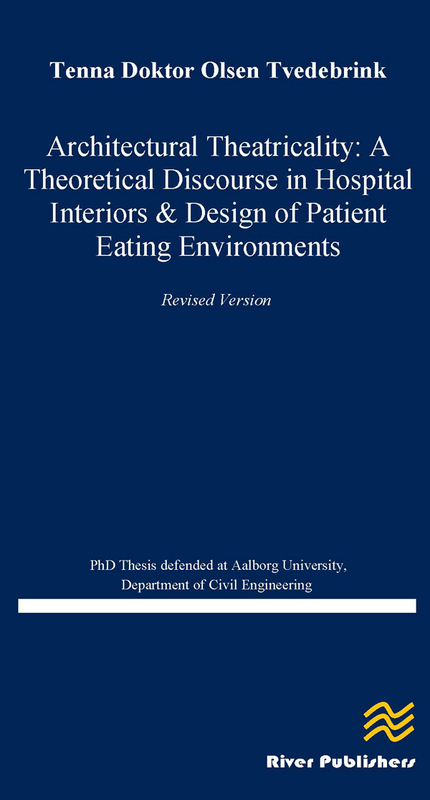 Consequently, the purpose of this thesis has been to investigate if any research-based knowledge exist supporting the hypothesis that the interior architectural qualities of eating environments influence patient food intake, health and well-being, as well as outline a set of basic design principles ‘predicting’ the future interior architectural qualities of patient eating environments. Methodologically the thesis is based on an explorative study employing an abductive approach and hermeneutic-interpretative strategy utilizing tactics such as a literature review, timeline and historical outline to create a “knowledge map”, which in an eclectic manner merges the positive, normative and polemical knowledge rooted in research, objects and writings. The results of these investigations show that sparse researchbased knowledge exist directly taking into account how the interior architectural qualities of eating environments influence patients’ food intake, health and wellbeing. Whereas vast amounts of research-based knowledge exist indirectly indicating the importance of the interior architectural qualities of the eating environment on meal experiences and food intake, as well as a series of references exist linking the interior architectural qualities of healthcare environments with the health and wellbeing of patients. On the basis of these findings, the thesis presents the concept of Architectural Theatricality as well as a set of design principles putting an emphasis on architecture as unified scenery guided by the four motives hearth, enclosure, dressing and context. This theoretical framework draws on the Gastronomic Analogy put forth by James Fergusson in 1862 and an interpretation of the writings of the 19th century architect Gottfried Semper, who links the fundamental architectural qualities to the characteristics of a theatre and the complex ‘doubleness’ of a mask. A sub-conclusion was that part of the quality lies in the constant revealing and concealing of the interior architecture as two-dimensional image and three-dimensional space together forming an assemblage of material objects, which through the inherited cultural, social and spiritual values are able to seduce us, spark our imagination and move us beyond time and place. However, the conclusion is that more research needs to done to understand this complex relationship. Today there is a tendency to reductionism in the value of human experience and to remove the arts from the sciences. The significance of this thesis is therefore the holistic perspective and contribution with a theoretical discourse acknowledging not only the importance of multi-sensuous experiences which are revealed with the material appearance of objects, but also the imaginary world of dreams and memories which are concealed with the communicative significance of intentions when designing the future super hospitals.